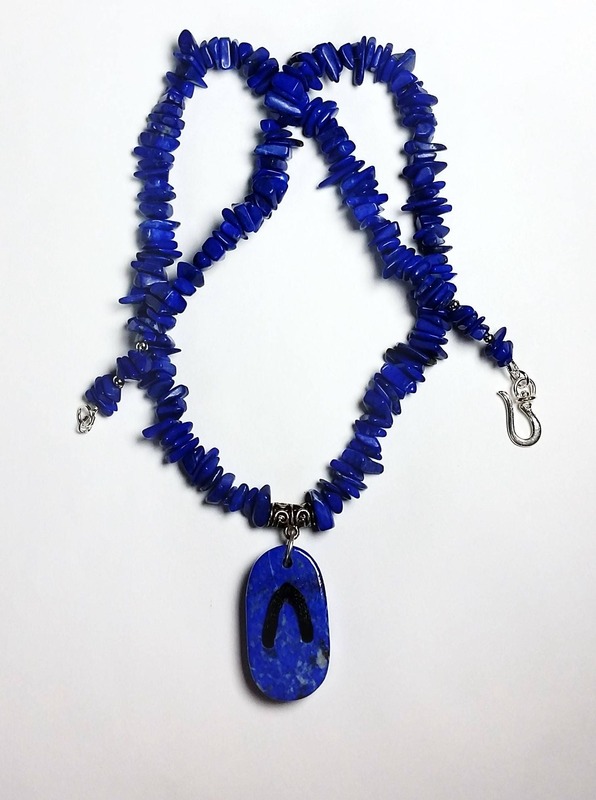 Lovely Lapis Lazuli blue dominates this pendant and necklace. 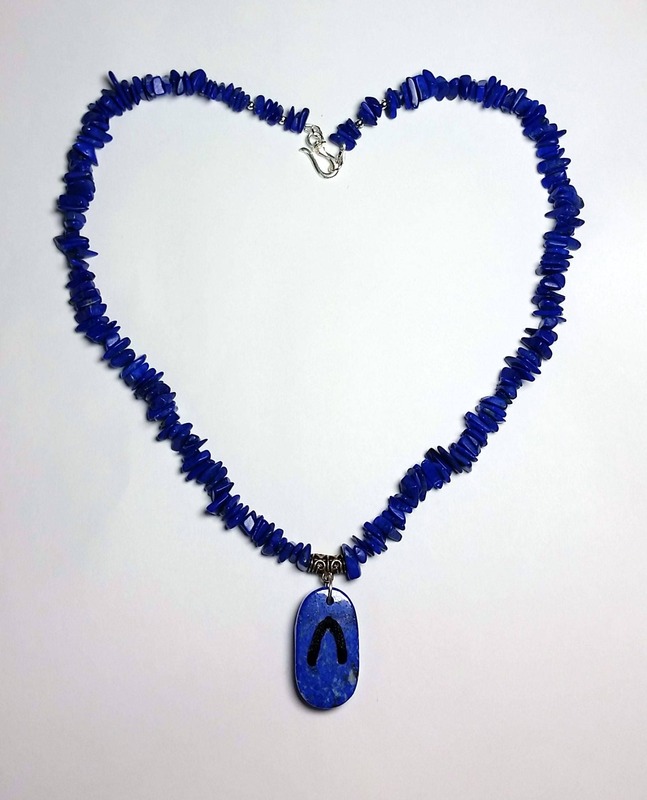 The lapis pendant is the shape of a Japanese Geta Sandal, complete with elevated base and polished black silky string thong! 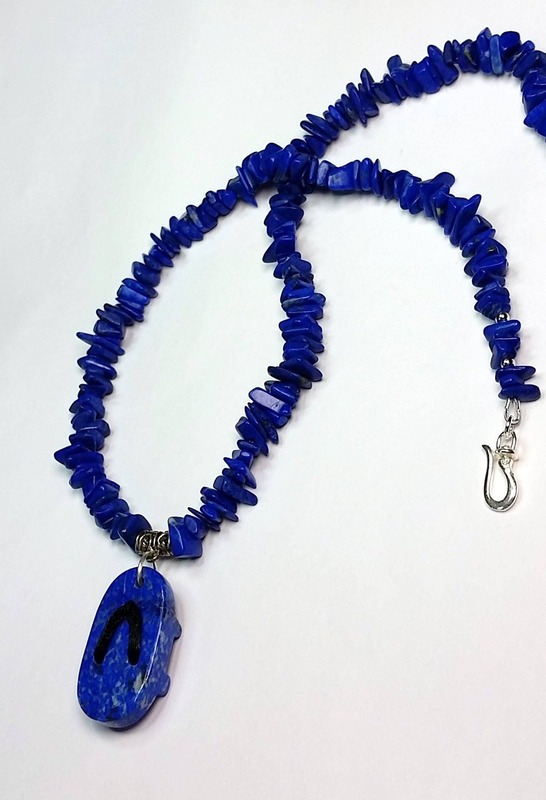 The supporting chain is composed of polished lapis chips. The silver plate clasp is an easy hook and eye type. 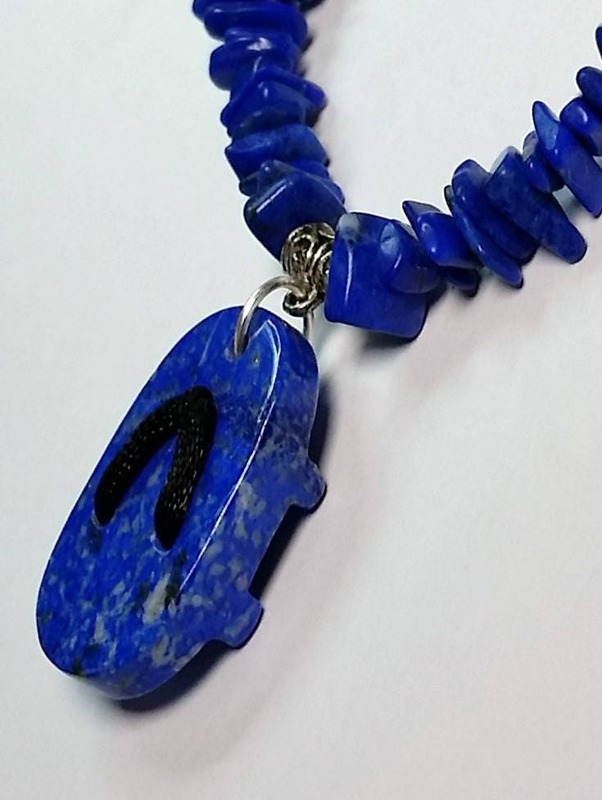 The necklace measures approx 21.5 inches in length. 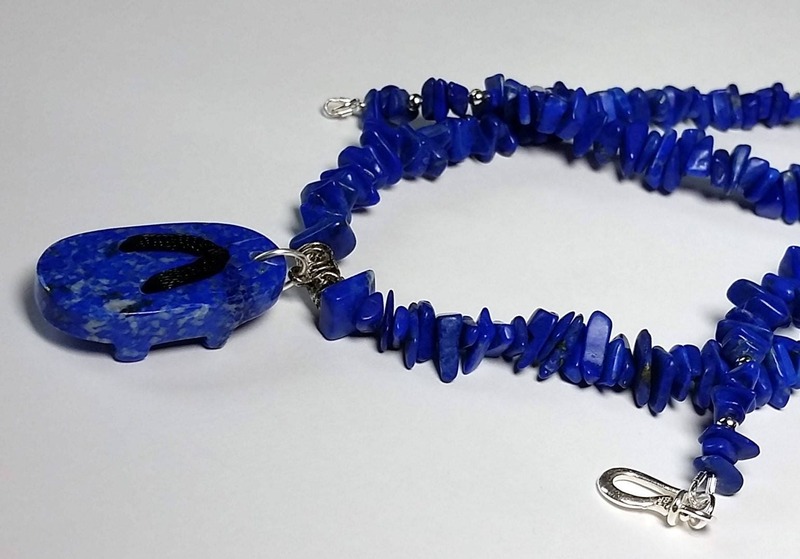 Lapis Lazuli literally means blue stone in Persian! 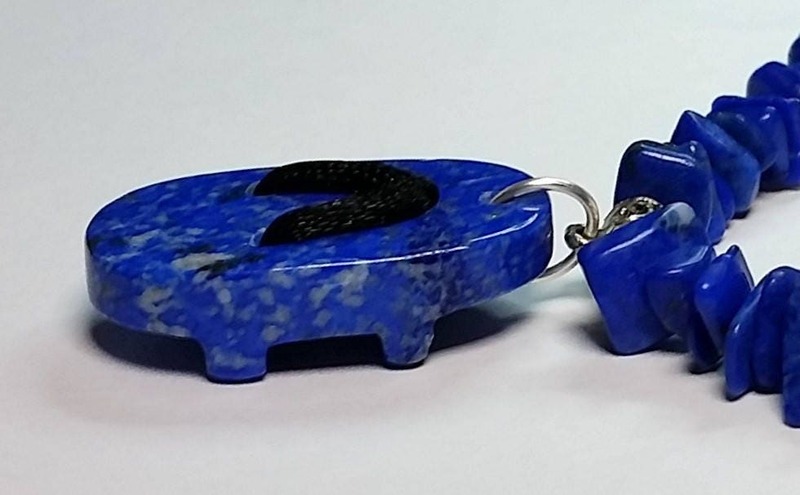 Historically it is said to be the stone of Truth, Organization and Enlightenment, thus believed to be highly spiritual for the wearer.